No relationship is more personal, yet universal, than that of parent and child. These richly detailed poems connect readers with their own experiences in that most fundamental of relationships, and are poignant reminders that the lives of those closest to us sometimes offer the deepest mysteries. and the neighbor pointing to the open gate. 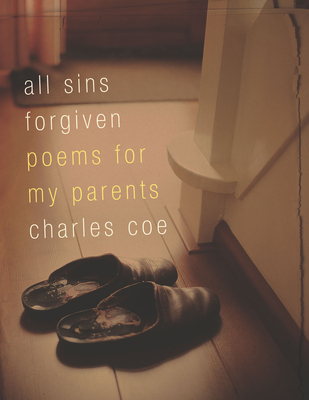 Charles Coe's poetry and prose have appeared in numerous newspapers and magazines, and his poems have been set to music by composers Julia Carey, Beth Denisch, and Robert Moran. Coe also writes feature articles, book reviews, and interviews for Harvard Magazine, Northeastern University Law Review, and the Boston Phoenix. He is also a jazz vocalist, performing and recording throughout New England. Charles Coe is the author of the poetry collection Picnic on the Moon. His poetry and prose have appeared in numerous newspapers and literary reviews and magazines, and his poems have been set to music by composers Julia Carey, Beth Denisch and Robert Moran. Charles also writes feature articles, book reviews and interviews for publications such as Harvard Magazine, Northeastern University Law Review and the Boston Phoenix. In addition to his work as a writer, Charles has an extensive background as a jazz vocalist and has performed and recorded with numerous musicians in the Boston area and throughout New England.